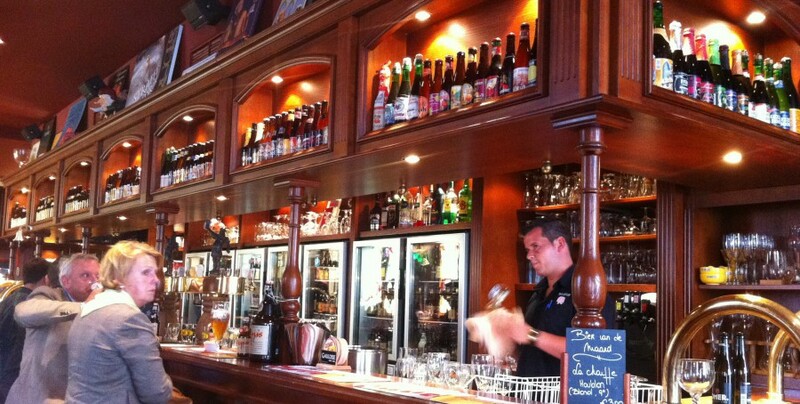 There are a lot of bars in Bruges, and it can be quite difficult to know where to start! Our first trip began with two thirsty Brits wandering into the first bar we could find- a bland establishment obviously reaping the benefits of being in such a busy touristy city without putting any effort in to retain it’s customers, with a beer menu featuring 5 or so common Belgian ales, a Pils on draught and a tiny dish of Bombay mix style snacks plonked down with your beer which may or may not be served in the proper glass. There are a lot of them out there unfortunately. There are also a lot of brilliant bars with huge, constantly evolving beer lists. These places embrace the history of Bruges and Belgian beer. They are usually packed full of locals as well as tourists, and you can sometimes struggle to get a table (most of them refuse to serve you without a seat). The staff are always knowledgable and willing to help you choose something you’ll like. All of the below bars are decent authentic Belgian bars (well, sort of in the case of Le Trappiste) and all serve their beers in the correct glass. Le Trappiste has an interesting history. It was originally a Belgian beer bar in Altrincham, UK run by Brits. After a few years of trading in England, owner Martin Matthews decided to relocate the bar to it’s “spiritual home” and moved over to Bruges in 2013. Since then the bar has gone from strength to strength, showing that when it comes to authentic Belgian bars, the Brits can give the Belges a real run for their money! Le Trappiste is a specialist beer bar just off Markt Square in Bruges. It is located in a cellar which is apparently 800 years old. The Beer Menu features over 100 beers, including international beers. 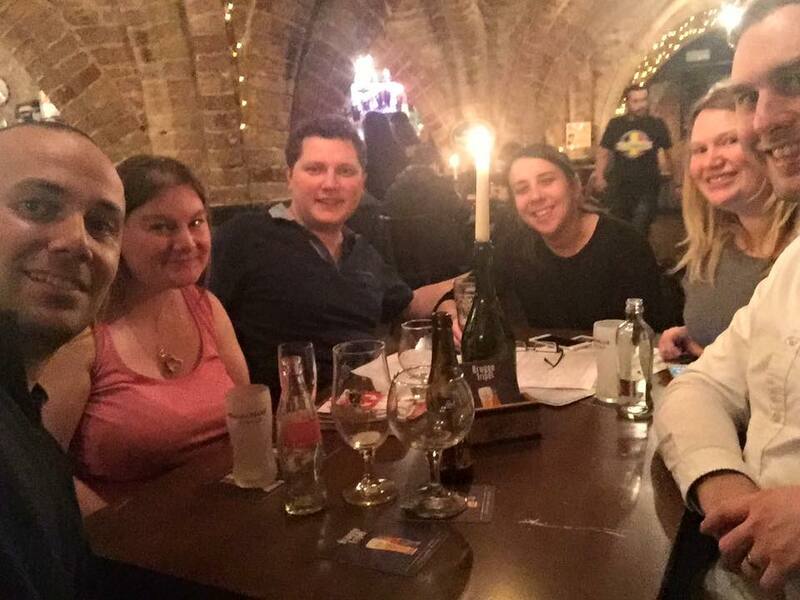 Its a beautiful old cellar with a vaulted ceiling, fairy lights and candles on the tables. It has a really friendly, cosy feel about it. There’s a great atmosphere and the serving staff really know their beers. Food is the typical Belgian “tapas”- cheese, meats and mustard. Opens late and often has live music playing. Gets very busy at peak times! Here we are at New Year when we last visited. Notice how I (the blond on the right) was only drinking mineral water- I was 6 months pregnant but Carl’s arm hides my bump! In fact, looking at the photo there is a disappointingly low amount of beer there! We must have just had the table cleared! Not like us at all! 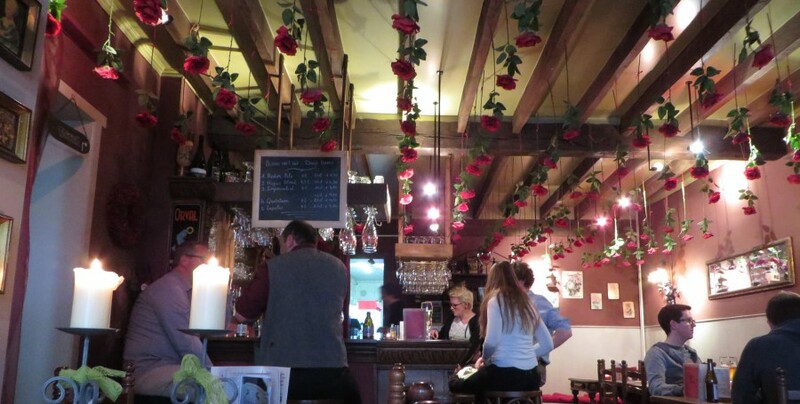 Cafe Rose Red is tucked away on a quiet side street in the centre of Bruges. It is part of Hotel Cordoeanier so for some reason I always expected it to be a bit fancy and unwelcoming. I was totally wrong. It has a lovely little courtyard out the back and inside is just beautiful, with wooden furniture, candles and its namesake red roses hanging from the ceiling. Still, the atmosphere is laid back and friendly, and although it was always busy when we visited we still always managed to get a seat. The general manager Kris Veireman is a passionate beer drinker and the beer menu reflects that, with over 120 beers to choose from. They also specialise in Trappist beers. It pleases everyone: a romantic setting for the ladies and a good selection of beers for the men! Limited “tapas” bar snacks. Friendly and knowledgable staff. Renowned for their 4 beer sampler which is well priced, €10 (though that price may have gone up). 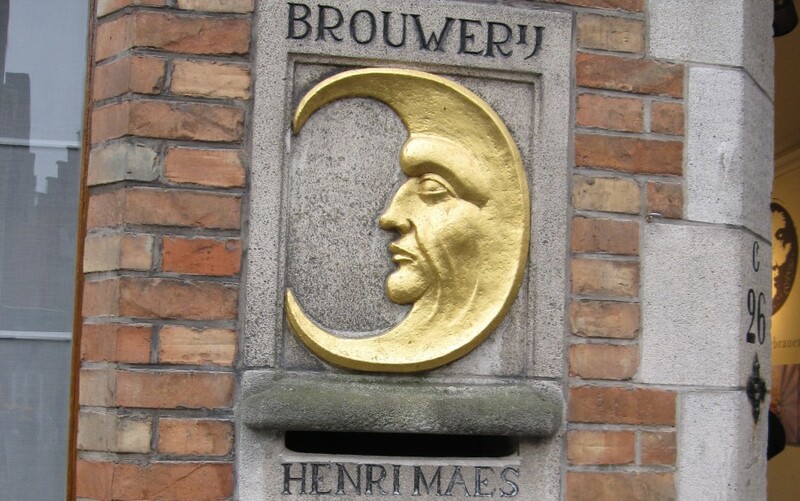 The Halve Maan Brewery has not had an easy past- originally opened in 1856 by Leon Maes and passed down to Henri II and his brother Achere who both died young. Their widows kept the brewery going through the First World War at a time when there were over 30 brewhouses in Bruges. The brand was bought out by the Riva Breweryin 1988, who made the Halve Maan stop brewing it’s Straffe Hendrik beers when they decided to start making it themselves. Undefeated, a young son of the family Xavier Vanneste started to brew a new Brugse Zot beer in 2005, and found huge success. His success was so great that in 2008 the brewery was able to buy back their brand when Riva went under- and they regained the rights to its own Straffe Hendrik beer, brewed following the original recipe and methods. The restaurant part of the brewery is based in the former bottling hall of the original brewery and okay, so we go on about this place a lot. But what’s not to love? We’ve had many lovely times here. The food is really good, usually incorporating some sort of beer into the meal. The beer menu is obviously limited to the Halve Maan’s own beers, but they’re pretty good so its no big deal. They also have some unusual vintage versions of their own beers, which come with a price to match. Hint: Don’t buy any souvenir beers here, it’s a tourist destination and is priced as such. The Bruges supermarkets always have a good stock of the Halve Maan’s beers- last time we went they even had the vintage Straff Hendrik at a fraction of the price we paid to drink it in the brewery! But its somewhere you just have to go when in Bruges– do the tour, have a beer and have a meal. You won’t be disappointed. My mum always said I like the food in this place so much because I always ate it after having sampled a few of the beers… then we took her here and she changed her mind! We love this place. I can’t remember how we first found it, but it was one of the first places we went to on our very first trip to Bruges. I chose it to go to for lunch on my 30th birthday, it was the host of the one beer I allowed myself during the trip as a preggo. Oh Cambrinus, we love you. Cambrinus in known as the King of Beer in many European countries, said to have invented the Brussels Faro and lambic beers- and is therefore said to have invented beer. What a legend! The building itself shows him in two places: in a statue as part of the facade and as a stained glass window. In both places he is sitting on a barrel of beer. The building itself dates as far back as 1699, and has been through many names. The beer menu is epic. It’s a wooden bound Bible to beer. You don’t get to keep it for long, the waiters come and take it to the next table as soon as you’ve ordered your beer (unless you’re in a big group and hide one! Mwah ha haa! What? We needed to prepare for the next order!). Cambrinus stocks over 400 beers, and if you’re overwhelmed, unsure or a pure novice the waiters will talk you through what sort of thing you like and help you pick something. The food is always really good too. Book a table or arrive early. We once got literally the last table free in the whole place, and enjoyed sitting in our window seat watching people spend a good 10 minutes reading the menu, talking about what they’ll have, then coming in only to be told it’s full. Cambrinus is a place we always go back to. Every time. These are a few places we always put on our itinerary but have never quite got to for various reasons, but we’ve heard they are worth a visit and will probably eventually work their way above this subtitle to make it to the main article! A slight lie, we have technically been here a few years ago, but it was so packed we had to leave without having had a drink! Tucked away down a tiny alley. 130 beers, including a house speciality on draught- Tripel van De Garre. Meaning The Monk’s Hole, referring to the cellar-based location of the bar. Vaulted ceilings. 75 beers. No food. Closed during the day. Beer menu of 250, arranged by region and brewery-a variety of old classics and newbies. Five daught beers rotate seasonally. Huge support for local and upcoming brewers. We got our little one’s passport sorted and booked her first trip to Belgium to properly welcome her into the family! She was just under 3 months old and we headed off to Ghent, a city we are fairly familiar with. Like my article on travelling while pregnant, I found very little info on the internet about travelling with a very young baby (other than information specific to flying). Maybe most parents don’t have the same Belgium withdrawal symptoms that we do! Before I get into the swing of things, I just want to say we found it really simple to get our baby’s passport sorted, although we do find it funny that her baby photo will stay with her until she’s five! There’s a link to the government website for passport applications at the bottom of this article. Babies are pretty simple in terms of luggage- they need to poo, eat and sleep. Pack accordingly! Nappies and wipes are important, but just as easy to find in Belgium as they are in England! You should have an idea of how many you get through a day, so just pack what you need and don’t go overboard. Don’t forget any medication your baby needs and suncream if it’s going to be hot. I breastfeed. Having mooched the internet a little I found that breastfeeding rates are pretty low in Belgium. Legally, women do have the right to breastfeed in public anytime, anywhere like we do in the UK. At the same time I wasn’t sure how I’d feel about breastfeeding in public in a foreign country where it wasn’t so common (and is it even that common in the UK?) so we packed all of the formula stuff, and I even ordered a special bottle warmer. As it turned out, I felt completely fine feeding her in public. It was an excuse to have a sit down in a bar every couple of hours! I got no odd looks or comments and even spotted another lady breastfeeding. So we didn’t even unpack the formula equipment from the car when it came to it. But I was glad we took our formula so we had the option. Make sure you pack a lightweight pushchair- if you’re walking around on cobbled streets for a whole day you really don’t want to be lugging your big Silver Cross travel system around. We invested in a lie-flat stroller with a pull-down sunshade. It was great- not a hassle at all, easy to manoeuvre around and because it was lie-flat our newborn was comfortable and able to nap in it. She actually napped really well during the day as the cobbled streets jiggled her to sleep! If it’s going to be dry but not too hot a baby carrier or sling would also be good. An extra tip- if you need a kettle for sterilising or making up formula, make sure your hotel room will have one! We stayed in the Ibis in Ghent, where we had stayed before. We had a feeling there hadn’t been a kettle and tripadvisor reviews confirmed that. So we did bring our own as we use it to sterilize her dummy. It’s one of those things you might not think of but could be really important and if you’re travelling in a car it doesn’t take up much of your space. With a baby, it’s easy to get through a few outfits a day with sickiness and poo and all sorts of other possibilities. Baby clothes are also unsurprisingly small so pack a couple of spare outfits, but remember that if you’re travelling to a city like we did there are lots of shops with baby clothes at reasonable prices, so there’s no need to overpack! (Also, what a cute momento for your baby’s first trip abroad). Keep in mind the weather… if you’re travelling from the UK it’s usually a similar temperature so pack accordingly. We travelled in late May and the predictions were warm but wet so we just packed lots of sleepsuits and vests, and then a couple of extra blankets. Easy, small and versatile. Suitable for daytime or nighttime. Lots of layering possibilities if needed. Remember also how a little vomit can ruin not only your baby’s outfit but also your own, so pack an extra outfit for yourself too! We brought our baby’s Moses basket with us. Having the car with us, and it being her first trip away we wanted somewhere familiar for her to sleep in case she struggled. The hotel had put up a travel cot for us anyway but we chose not to use it. I was a bit nervous about a hotel travel cot and had visions of a dirty or unsafe rickety old cot… unlikely when you think about how serious the implications of anything less than perfect could be! In reality, we were really impressed by the cot we were provided with and have since used hotel supplied travel cots with no problems. We do bring her sleeping bag though so she at least has something that smells familiar to her. But for Ghent I needed the security knowing she had a familiar space to sleep in. Belgian hotels are generally family friendly, and often have really nice family rooms. Having a central hotel is handy so you always have somewhere local to retreat to if baby needs some time out. The best options, we thought, are either a self-contained self catering place or a large anonymous chain hotel. The former is handy if you want to be able to put baby to bed and then sit up in a different room drinking, eating, chatting etc. We went for the latter which meant come baby’s bedtime around 7pm we were confined to the hotel room. We tended to buy a couple of beers from the local Carrefour Express or the hotel bar and drink them in the room while chatting and watching the TV (in our Ibis we had access to about 4 English speaking TV channels including BBC 1). The law. A baby in a car must be in a child seat or child restraint. The only vehicle a baby doesn’t need to be in some sort of restraint is a taxi. Eurostar (as a foot passenger) have baby changing facilities on board, as well as family carriages with more tables and luggage space for pushchairs etc. If flying, remember that baby food and formula milk may not make it through security! Parking. Parent and child spaces are available in larger public car parks. Otherwise, car park spaces tend to be a little larger than in the UK. Most hotels are happy for you to pull up outside the front if that’s possible so you can get the baby out before parking up. Make sure you have a window shade, especially if it’s going to be hot. If you like to bring a lot of beer back and find your baby is taking up too much valuable car space, invest in a roof box. I’m partially joking, but we got offered one to borrow over whatsapp JUST AFTER we’d set off so it was too late. Carl was gutted! Most restaurants and bars in Belgium are family friendly, especially in warm weather when you can sit outside. We managed to eat out every evening without any problems. The only thing we did differently was book a table for early evening instead of around 8 or 9pm. It’s important to know that traditionally Belgians don’t eat the evening meal until quite late compared to Brits, but a lot of restaurants in tourist destinations and cities are still open early enough for families with young children. Just check opening times if you want to eat in a particular restaurant and book if you need to. Baby changing facilities in Belgium are much less common than in the UK. It would be worth googling- for example- “Ghent baby changing” if you’re going to Ghent so you can find out the location of some. We found one in our whole stay, although I’ll admit we weren’t looking as we had a central hotel and so just took her back to the room to change her. HEMA is a shop similar to Wilkinsons I suppose in terms of what they stock and they usually will have a disabled toilet with a pull down changing table. You can usually find a HEMA on the main shopping street of a city. They also sell cute baby clothes pretty cheaply as well as general baby supplies like nappies, wipes etc. The generic emergency services telephone number in Belgium, as across Europe, is 112. There are always English speakers. There’s a link below to a map of all hospitals in Belgium. Emergency telephones for an S.O.S. line are installed every 2km along motorways. Medicines are generally not available from supermarkets, you have to go to a pharmacy. There are always plenty in cities. There’s plenty to do with a baby in Belgium. We mostly just walked, took in the beauty of the place, ate good food and drank good beer. You probably don’t want to be lugging baby up a Belfry, and might want to avoid a museum around feeding time… but generally babies don’t mind what they do so long as you smile and chatter to them. The Sint Sixtus Abbey in Vleteren was founded in 1838 is one of the eleven Trappist breweries worldwide, and one of the six located in Belgium. Brewing only 3 different beers, it has a worldwide reputation for taste and quality. In particular, we were seeking out the Westvleteren 12: supposed to be one of the best beers in the world. The abbey produces one of the lowest volumes of beer at under 5,000 US gallons. This is because the beer is not brewed for financial gain, but purely to keep the Abbey going. Therefore only a small amount is brewed, just enough to make ends meet. This is then sold directly from the Abbey to individuals who have reserved their beer weeks in advance. A small amount is also available from the gift shop in the form of boxed sets including glasses- although there is no guarantee of which beer, or how much, will be available. As well as the Westvleteren 12 (or “Westie 12” to those of us who try, but fail, to pronounce the whole word correctly) at 10.5% with a yellow cap, the Sint Sixtus Abbey also makes the Westvleteren 8 at 8% with a blue cap and Westvleteren Blonde at 5.8% with a green cap. 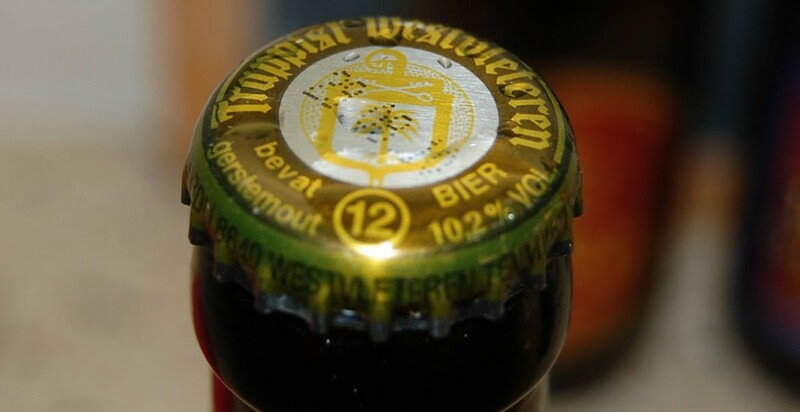 Bottles come unlabelled, the only indication of the brewery other than the cap being the word Westvleteren embossed in glass around the neck of the bottle. All legally required information is printed on the caps, although some US importers will add a label to comply with local regulations. We decided to seek out the brewery as a bit of an adventure. We were hoping to get our hands on the legendary Westie 12. As it was around Christmas there was no convenient date for us to book and pick a crate up through the regular procedure, so we had to take our chances on In de Vrede: the on-site café and gift shop. To get to In de Verde you have to follow a series of local country roads. We found the signage to be fine but others have said there isn’t enough. We did have the GPS on too so maybe we’d have found it harder if we had been relying on maps and signs. It was a pleasant enough journey: we were on our way from the Eurotunnel to Ghent and it was vaguely on the way with a bit of a diversion. From the Eurotunnel it took about an hour to get there along the A16 through France into Belgium, then exiting the E40 at J1a onto the N8 until you reach Vleteren, then following signs for Sint-Sixtusabdij along local streets until you find the Abbey. In de Verde is not what you expect from a monastery. It is large and modern, with a clean, open-plan, cafeteria style layout. The small gift shop in the corner has an un-reliably stocked selection of beer gift sets, as well as other products of the Abbey such as cheeses and pates. We were lucky enough to get our hands on 4 Westie 12 giftboxes- as there were only 2 of us we didn’t fancy carrying more- although there were others who were unashamedly packing their cars full of as many boxes as they could get their hands on. We stopped for a beer (Carl was driving so he could only have a blonde: I had an 8) and a sandwich for lunch, all of which was really good. It’s worth noting that even when there are no boxes available in the giftshop, the café usually has all 3 beers in stock. Full and (me at least!) feeling a little tipsy, we left after around an hour, clutching our prizes giftboxes and grinning like two Cheshire cats. All round I’d say the trip was well worth the detour which added about 40 minutes on to our total driving time. One day we’d like to have a go at ordering a crate to bring home but fate just meant that wasn’t the time for us to do so. Now an annual “staple” for the Bruges Christmas/New Year season, the Ice Sculpture Festival is back! This is something we’ve attended in previous years and loved, despite not really being all that interested in the year’s theme (Disney when we went). This year’s theme is Wanagogo (a collection of 3D cartoon characters from a collection of apps) and will take place in Station Square, Bruges, from Friday 20th November right through to Sunday 3rd January 2016. The sculptures will be the work of 40 artists, who will use around 300 tonnes of ice and 400 tonnes of snow flakes, displayed in a 13,000 square foot thermal tent at -5ºC. As I said, we went a few years ago when the theme was Disney. Not particular Disney fans we thought we might as well go just for the experience but we really did have a great time and have some lovely memories and photos! I’ll have to see if I can find any to add to this page! It’s primarily a family event obviously, but in my opinion anyone would enjoy it. Wear warm clothes and avoid peak times! We went around lunchtime one day to find huge queues, then returned early evening to find it deserted! It’s open every day from 10am til 6pm so plenty o f opportunities. The cost for an adult is €15,00, 13 for students, and pensioners, 11 for children 4-12 years old and free for under 3 year olds. For more information visit the official website. When to book- September/October should be fine, with the variety of hotels and hostels in Brussels. Be prepared to travel to the outskirts if much later- see below for transport info. Minimum cost– assuming two adults Hostels cost approx €70 (2015), bottle of Cava €4 from CarreFour (probably more in local shops if you don’t have a car), fast food dinner €30, evening entertainment free, breakfast €30… total approx €135 plus travel for one night. Recommended place- Place de Brouckère for huge crowds, sing-along music and fireworks (see map in main article). Key info- Plenty of choice if you don’t get a chance to book restaurants, but expect hugely inflated prices.. Family friendly. Very busy, maybe too busy for small children. The metro and tram stay open until 2am, night buses run until 5am. As Belgium’s capital city, New Year’s Eve is celebrated in style in Brussels, with the streets packed with both locals and tourists all looking for a good time. Traditionally the main celebrations took place in Mont the Arts, but in 2014 the show moved to Place de Brouckère. 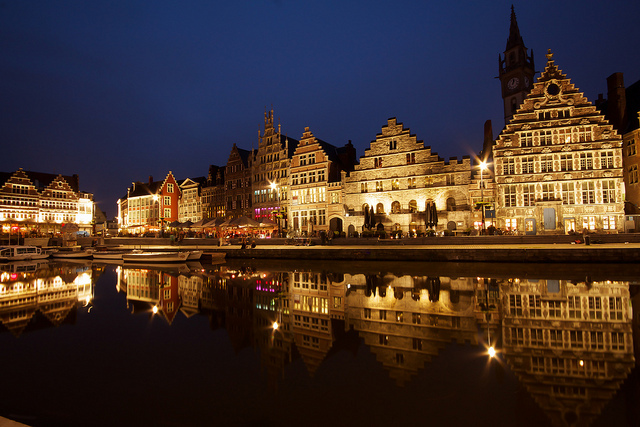 With the wide variety of hotels on offer in Brussels, the need to get your hotel booked isn’t as urgent as in smaller Belgian cities such as Bruges. Having said that, if you’re on a budget it’s a good idea to start looking in September if you want somewhere central. 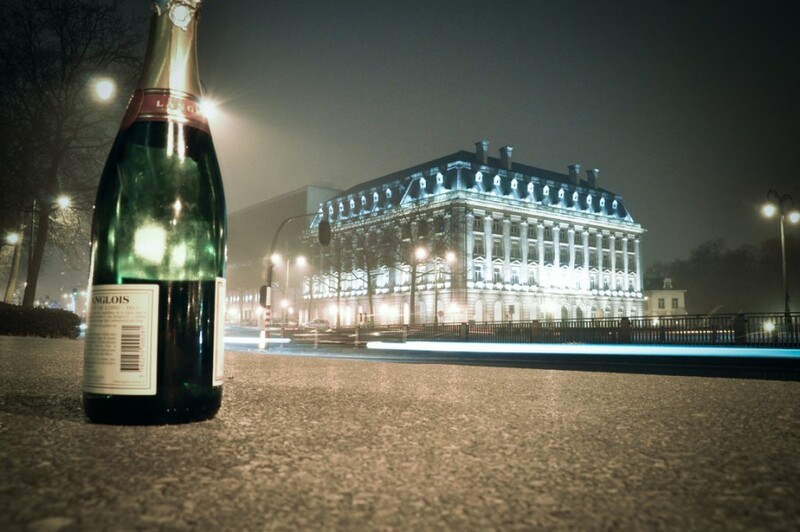 If you do miss out, don’t worry about taking a hotel on the outskirts of Brussels, as transport links are good on New Year’s Eve, with night buses running every 30 minutes until 5am and trams until 2am. Eurotunnel can be booked up to 9 months in advance, and usually the sooner the better. As always, I would *strongly* recommend crossing the channel on the Eurotunnel if you’re travelling from the UK as we do, especially in the winter as it’s less affected by the weather as the ferry can be. Read through my experience of New Year’s Eve in Bruges for a brief description of our disasterous winter ferry crossing our first time travelling to Belgium, when I insisted on using the ferry due to my romanticised memories of summer holidays in the South of France! Restaurants charge hugely inflated prices. You don’t need to book necessarily, but it’s probably a good idea to do so. I would find somewhere with an advertised flat-price menu and book with that: at least then you know exactly what the damage will be at the end of the evening. An unusual idea I’ve come across is booking in at the Grand Casino, which claims to boast dinner, entertainment and a view of the fireworks, although its not something I’ve experienced personally. Brussels hosts a typical Belgian Christmas market and ferris wheel throughout December. Attractions, museums and theatres are generally open as normal every day after Christmas including New Year’s Eve, although they often close a couple of hours early. There’s a great atmosphere in Brussels all day, with celebrations starting fairly early from 8pm. Throughout the city buildings are lit up with different coloured lights, dancing to music played through loudspeakers. As said, the main attraction takes place in Place de Brouckère, although loads of people also gather in the Grand Place. The latter is probably less family friendly, with huge crowds of loud drunken people and firecrackers everywhere. Place de Brouckère is more recommended, with a schedule of events, typically featuring animations on big screens, street theatre, DJs and sound and light shows. If you have kids get there early, from 7pm even if you want a good view. Otherwise arrive whenever is convenient for you: the celebrations run right through to a countdown clock from 11pm, the countdown at 11.55, fireworks at midnight and then a light show with DJs until 1am. For the afterparty, clubs are open til late: think 6 or 7am when they serve bacon butties for breakfast. In 2014 you could even get a party pass which lets you in to 8 different clubs in one night. This costs 45 euros at happybrussels.com, and if popular might become annual. Clubs do get very full and partygoers get messy so be prepared. 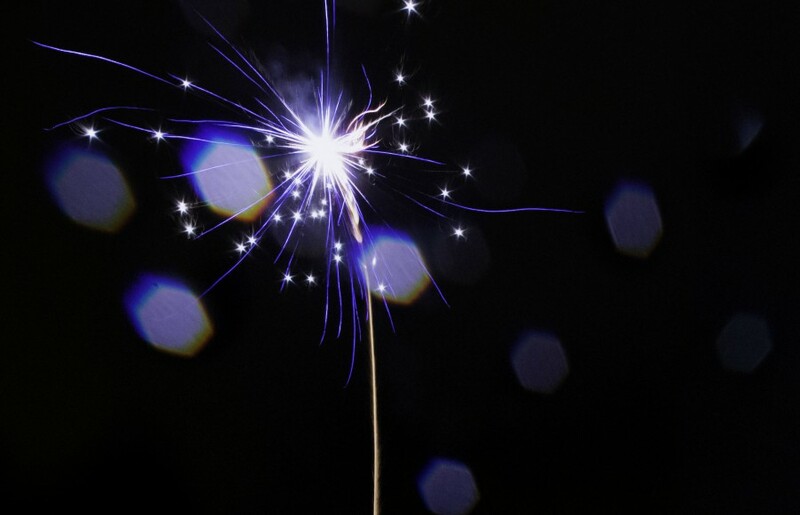 Lots of popular clubs get sold out weeks before NYE so buy your tickets in advance. Entrance into a good club will cost up to 25 euros. Most big shops are closed on Nieuwjaarsdag, as well as 2nd January too. Museums are all shut; bars and restaurants depend on the owner. But after a big night out the night before, not many people are awake or willing to serve tourists so its worth planning a relaxing day in one of the local parks or just wandering the streets admiring the architecture.